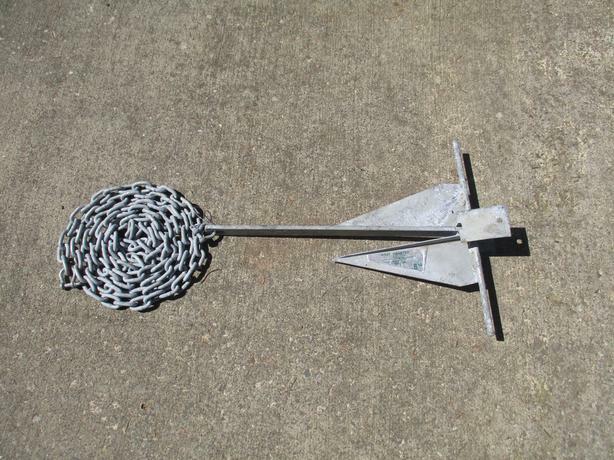 We have a 8 Ib galvanized "West Coaster" anchor for sale. Includes 12 ft of 5/16" hot dipped galvanized chain, with clevis. Good for most boats up to 24 ft in length. Anchor features wide flukes for deep penetration. Please email to navydave360@gmail.com for further info. Please check our sellers list for other items. Thanks.